You can setup your hand held devices into the Fixed Time Clock Stations for your employees. 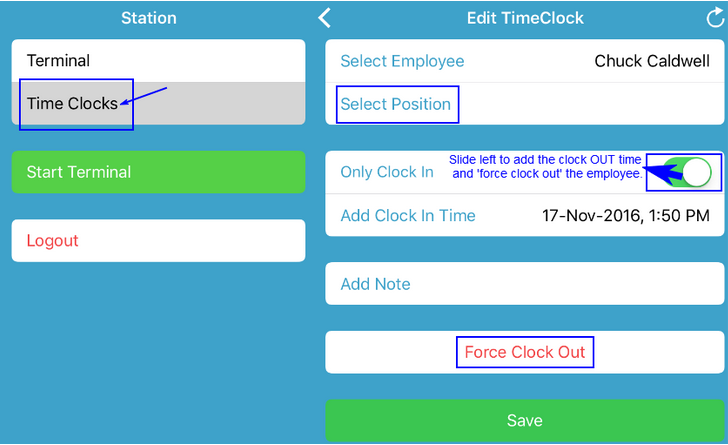 Each 'Time Clock Station' can be setup to either list all the employees in a company or to list the employees for a particular Location/Position only. Download Humanity Station for your: iOS device. Download Humanity Station for your: Android device. Before you could setup the Humanity-Station onto your hand held devices, you need to create the 'Time Clock Terminals' by logging into your Humanity account, on your desktop computer. Note: 'Humanity-Station' will make use of the 'Time Clock Terminals' which are already created or which you will create from the Time Clock section of the desktop application. Once you are done with creating the Time Clock Terminals in your Humanity desktop account, it's the time to Download and Install the Humanity Station onto your hand held device. 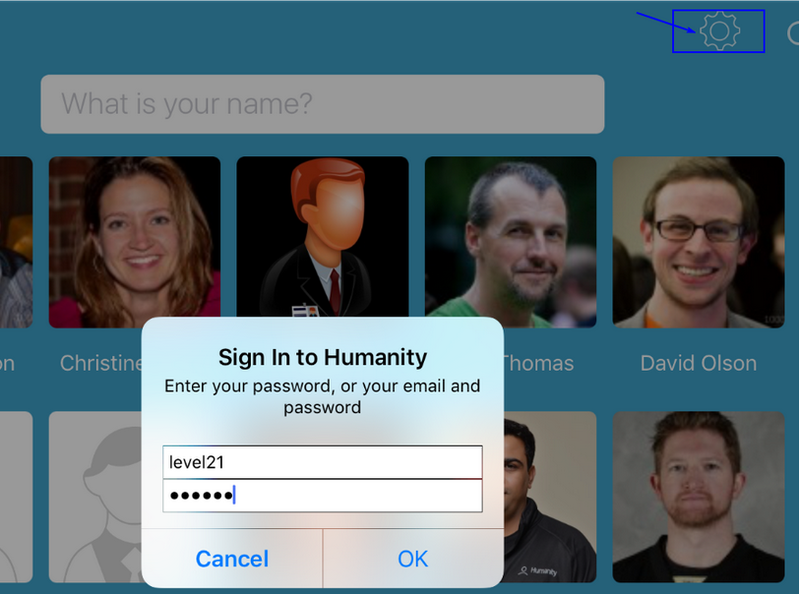 After the Installation is done, you need to tap the Humanity station 'icon' to launch the newly installed application, and login with your administrative credentials. After signing into the Humanity station, you need to tap on 'Select Terminal' to make use of the terminal which you had created in the Humanity web application. Tap the name of the terminal to choose one Terminal from all the listed ones. The chosen Terminal will appear with a 'Green' check-mark. After selecting the Terminal, the application will ask you to select/deselect the Locations/positions you want to setup this Time Clock Station for. 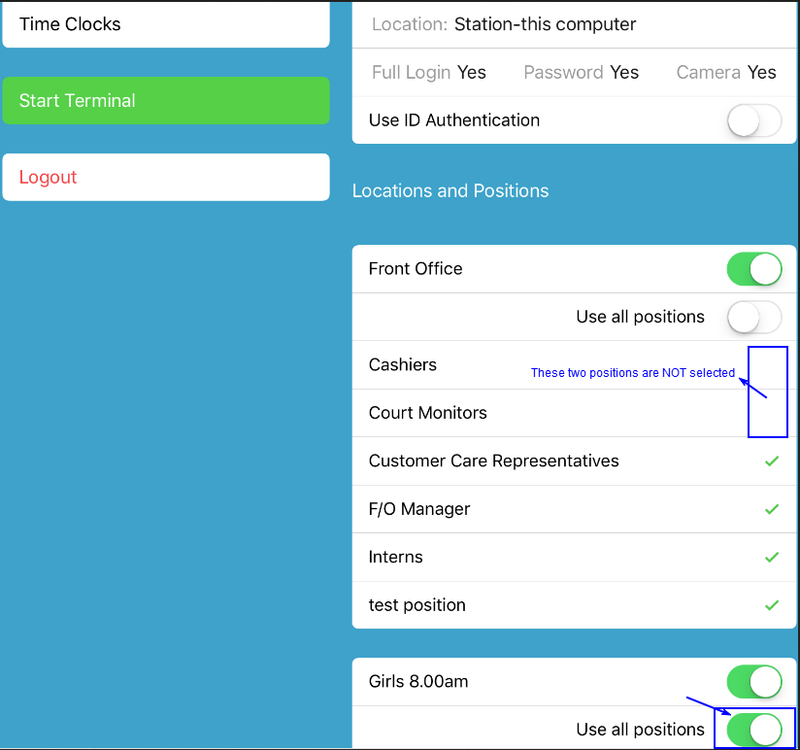 Note: Selecting the Location/Position in this section means, that; you want the application to allow all the employees to be able to clock-in/out who are assigned to work on those Locations/Positions. By toggling on 'Use ID authentication' you can require the employees to Clock-in using their 'Employee IDs' instead of the passwords. The Employee ID must be added into the employee's account by the Manager for this feature to work. 2. You would need to create a New Terminal from the Humanity webapp, and make sure that the check box for "Require Password" is unchecked. 3. Once you have created the New terminal, you may need to restart the Humanity Station app and select the newly created terminal which does not require the password and hit "Start Terminal"
4.The employees can see their employee IDs by clicking their profile icon from the bottom left side of the screen and then clicking 'Profile'. After making the selection for the 'Locations and Positions', you need to tap the 'Start Terminal' button, to let the application list the employees so that, they can Clock-in/out using the Humanity-Station app. 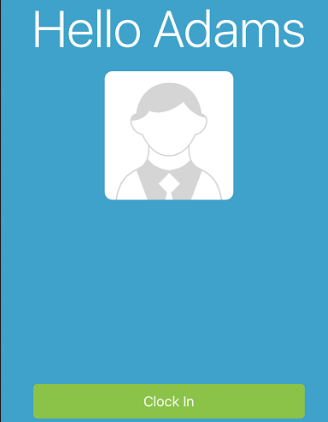 The employees will need to Click their 'Profile pictures' to clock-in/out themselves or to mark the Break time. Important: Humanity Station may require the employees to enter the password or to take the picturebefore they can clock-in/out depending upon the options which had selected while creating the Time Clock Terminals in the Humanity web app. 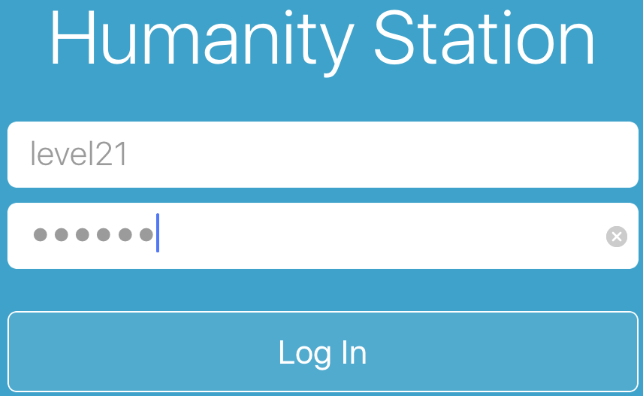 After setting up the Humanity-Station, if you want to make any changes to that, you need to click the Gear icon from the top right side of the application and Sign in with your administrative credentials. Change/select the positions for the clocked-in employees. Add notes to the employees time sheets. Edit the Time-sheets of employees. Important: (Below mentioned are the default behaviors of the app, but might be changed/improved in near future). The following options from Humanity web app has no effect on the clock-in/out activities made through the Humanity station. Lock time-clocking to specified locations.